Going without solids foods for short periods of time is always going to reap health benefits, but ingesting healthy juices during that period greatly improves the overall effects. 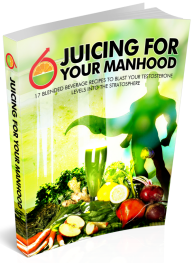 I personally have found my energy goes through the roof on a juice fast, and have noticed amazing changes both mentally and physically long after the juice fast ends. Overall I feel lighter and way more clear in my thinking. To me, the mental and spiritual benefits are more important than the physical. You may feel different. 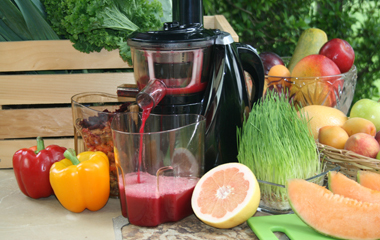 In any case, juicing gives rise to an increase in the overall well-being of any individual that gives it a try. Reduce Food Cravings – God knows most of us just love our calorie-laden, fatty, health eroding foods and sometimes can’t get enough of them. Juicing can help reduce these cravings and set you on a path to better health. Boosts the Immune System – Juice fasting or feasting(way more accurate) is an effective way to meet your daily quota for essential vitamins, minerals, and other valuable disease-fighting nutrients. Antioxidants are another key benefit from consuming concentrated vegetable/fruit juice. Antioxidants protect the body against free radicals and pro-oxidants. Helps and Speeds Up Detoxification – Getting rid of toxins from the body helps with your overall health and aids in keeping the body disease free. Juice fasting promotes detoxification by freeing up the body to detoxify, with energy conserved in not having to digest food. Coupled with the increase in nutrients quickly absorbed by the body from the juices, the body can greatly increase its overall ability to clean up – from the inside out. Weight Loss – Although weight loss shouldn’t be the main aim of juicing it will come about obviously because of the reduction in overall daily calories. Use a juice fast as a jump-start to a healthier lifestyle. All in all, juice fasting has to be one of the easiest and most efficient ways of boosting your overall health. I’m surprised that not everyone is juicing. That’s a biased opinion of course:). Click Here Now! to discover how you can lose weight and enjoy all the benefits that juice fasting has to offer. 8000 success stories can’t be wrong!